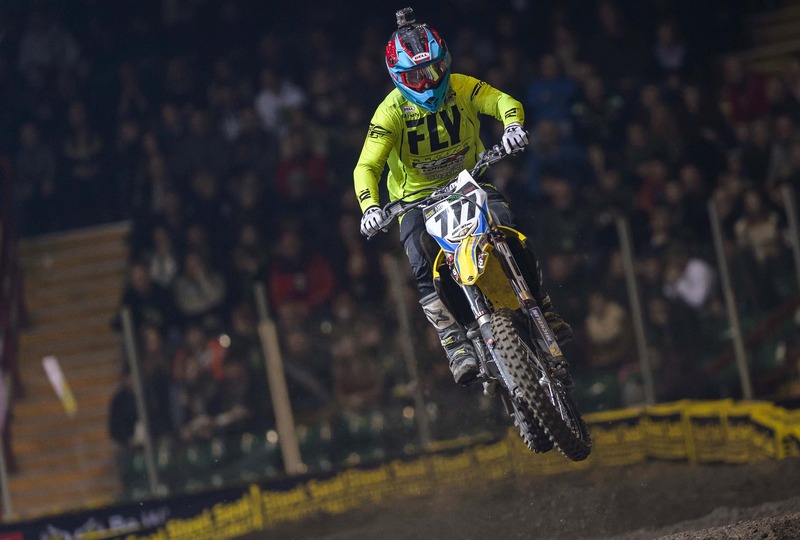 Evgeny Bobryshev took the new RM-Z450 to the British MX1 title in its debut year of competition. Yet, while riding for the Lombard Express Suzuki team, it was still a season that presented a number of challenges alongside the success; Bobryshev was learning a number of this year’s tracks as he went, and suffered his share of spills, too. However, his consistency and raw speed paid off, and the Russian clinched the title at the final round. He stopped by Motorcycle Live last month and we asked him about the year. It was a tough year for the Maxxis British Motocross Championship, with the opening round postponed due to adverse weather, before the second motos were cancelled at Duns and the round at Foxhill was called off in September. It was made tougher for Evgeny Bobryshev, with the Russian having to learn a number of tracks as he went. 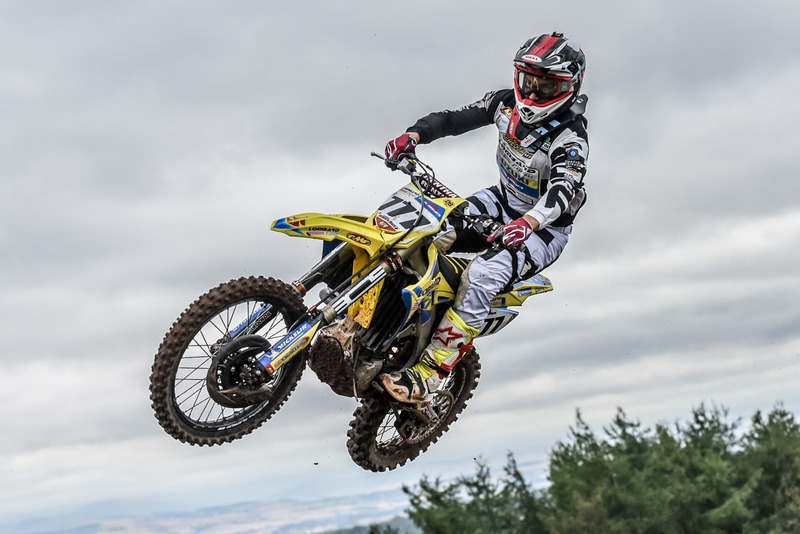 Still, he had an advantage, working with former British champion and veteran team boss Neil Prince at the Lombard Express Suzuki team, running the RM-Z450 which was all-new for 2018. “The first time I rode the Suzuki was after I signed with Neil,” Bobryshev recalled. 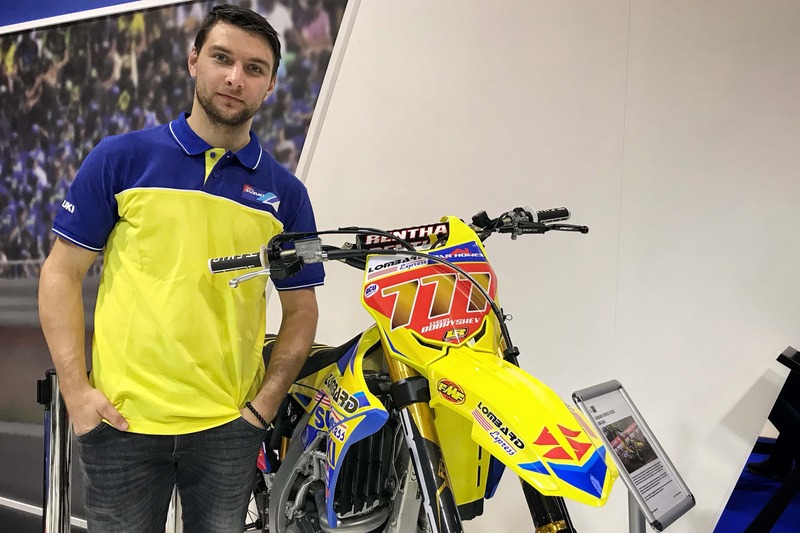 “It was actually the first time I rode an RM-Z450 at all I think,” he adds, rolling his eyes to look skyward into the top of the NEC’s exhibition hall. “But the bike was good. I did some of the Arenacross rounds at the start of the year with pretty much a standard bike. The power was really good for indoors and just the way I ride. It had lots of power low down and through the middle of the rev range, which is where I ride, I tend to ride the torque a lot. It’s also a really smooth delivery so getting out of the turns was easy. I felt good on it right away. It’s fortunate the bike was easy to work with, mind, as Bobryshev found himself face-down in the mud on more occasions than he’d have liked in 2018 and suffered from a knee injury halfway through. He also had the added challenge of learning new tracks throughout the season. “We did have a lot of bad luck this year,” the Russian ace mused. “We had the speed to win, for sure. Honestly I think we were always fast but sometimes had some unlucky situations in races and I did have a lot of crashes. 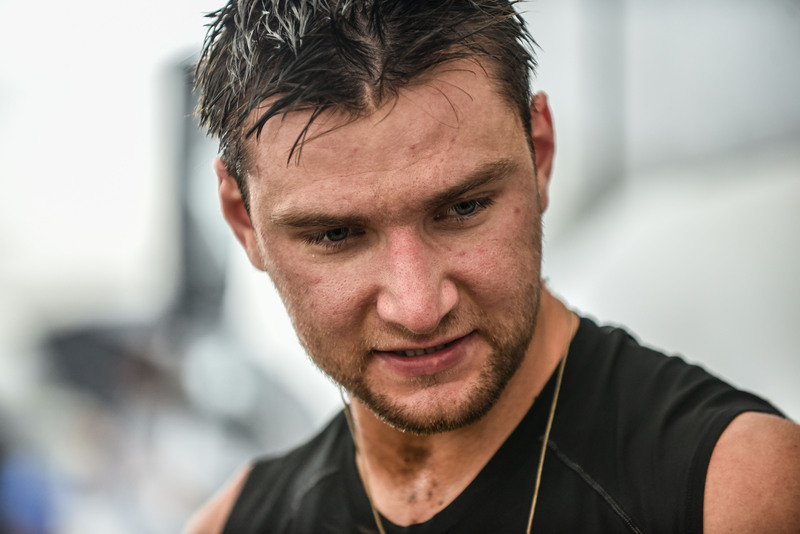 “One area I struggled a little bit was the starts and the first laps. So I was caught in the mid-pack a lot early in the race. Because we had good speed and the bike was working well making passes wasn’t always too difficult, but it was still a lot of overtaking and sometimes I pushed too hard or got caught out and crashed, quite heavily sometimes. Despite the challenges, the results were good, with Bobryshev on the podium right away, finishing second overall at Culham for round one. He was second again next time out at Canada Heights and third at Blaxhall, before narrowly missing out on the rostrum at Desertmartin - another new track for him this year. At the next round at Duns he took the overall win and closed right in at the top of the championship going into Hawkstone Park. However, there the championship challenge took a hit. If they were on the back foot before, title aspirations took another blow when the penultimate round of the championship at Foxhill was cancelled. But the championship took another twist when Jake Nicholls, Bobryshev’s title rival, picked up an injury before the final round. The MXGP race-winner and championship podium man paused for a minute, clearly replaying the last two races of the year in his head. Eyes still with a glazed look, he recounts the first moto. “I got into second place and I was right behind Tommy [Searle]. I was close and felt I was riding well but by being so close behind my bike and the radiator was getting covered in mud. I thought, ‘you just need to finish here’, so I let him pull a bit of a gap and settled for second. “The pressure was then really on for the second moto and I didn’t make the best start. I got up to fourth and had two guys ahead that I really wanted to pass to try and have the safest race I could, but I was also nervous about getting tangled up with them. I was careful getting around them in the end and got up to second. Tommy was at the front, and I managed to pull a good gap to third place, so again I just brought it home. He relaxes again and almost relives the feeling of relief and then joy at taking the chequered flag and with it the British title. “I was so happy when I crossed the line, and everyone in the team was pumped. I have big respect for those guys, and am very thankful to them for this championship. Everyone stuck by each other through the bd moments and it meant we could enjoy the good one together. Certainly was Evgeny. Thanks for the memories! Suzuki is currently offering £1200 off the RRP of both the championship-winning RM-Z450 and the RM-Z250 MX2 machine. Find out more, here.